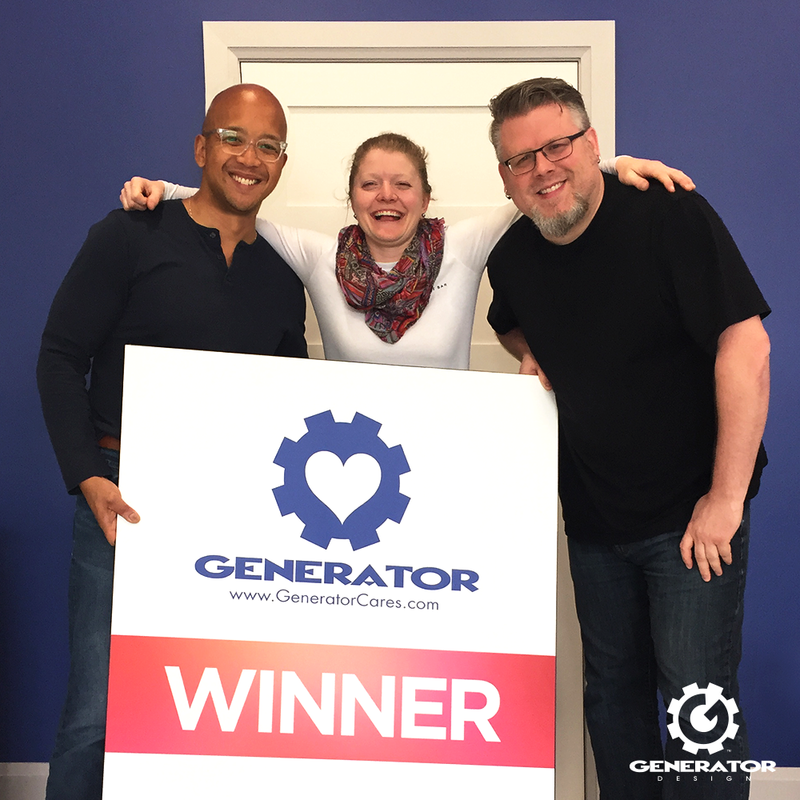 Generator Cares, our annual contest to provide a nonprofit organization or charity with a brand refresh, shifted gears this year! 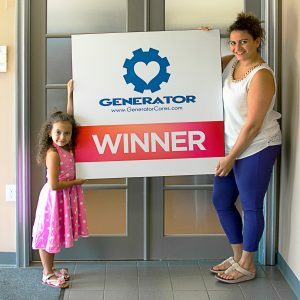 While in the past our contest was focused on helping those organizations in our community, this year Generator decided to turn the creative key for a deserving business in Windsor-Essex. Back in January, we launched the first phase of WindUp 2018 with a call for nominations of registered, local businesses in Windsor-Essex. With an amazing turnout of submissions, we then opened the door to phase two for everyone to vote for those eligible nominees. The votes poured in showing an overwhelming display of community support, with three clear finalists. From those businesses with the most votes, a winner was to be determined after Generator interviewed each to understand their business needs and goals. 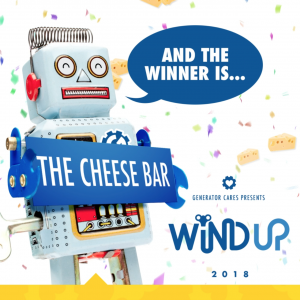 With that said, we were happy to announce on social media the winner of the WindUp 2018 contest: The Cheese Bar! Generator partners Jose & Alan pose with the owner of The Cheese Bar, Sarah Barrette, winner of WindUp2018. Follow as we post updates on The Cheese Bar’s creative journey with the Generator Team! 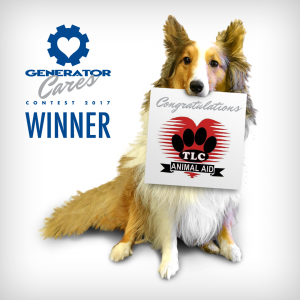 In January 2017, Generator launched its 4th annual Generator Cares Contest. This yearly nomination-based opportunity gives non-profit organizations a chance to win $10,000 in services from Generator. This includes creative consultation, $2500 worth of design services to spend on marketing promotion, social media evaluation and 3 months of Social Media Management, and $500 towards print material or digital ads. We received an astounding number of nominations for local non-profit organizations in this year’s contest. The heartfelt comments included in each nomination truly show the love and support Windsor-Essex has for its wonderful causes. Congratulations to every non-profit who was nominated: Arts Collective Theatre, TLC Animal Aid, Second Chance Animal Rescue, Essex Community Services, Homeless Coalition of Windsor Essex County, Big Brothers Big Sisters Windsor Essex, Welcome Centre Shelter for Women, Kat’s Orphan Kitten Rescue, Amherstburg Community Services, The Summit Centre for Preschool Children with Autism, Little Hands Kids for a Cause, ALSO – Assisted Living Southwestern Ontario, Fantastic Fathers, Windsor Residence for Young Men, ADOPT A VET, Family Services Windsor-Essex, and Natural Pathways Forest and Nature School. The four-hour meeting to determine a winner. Determining a winner from so many deserving groups was a challenge. The Generator Team considered not only the number of nominations received, but also the quality of the reasons for why a particular group should win. We narrowed the nominations down to three top finalists, Arts Collective Theatre, TLC Animal Aid, and Second Chance Animal Rescue. After thorough consideration, research, nomination tallies, and healthy debating, we arrived at a consensus. This year’s winner deserves to be TLC Animal Aid. They not only received the most number of nominations, but additionally, truly heartfelt statements and reasons why this organization would benefit from the grand prize. 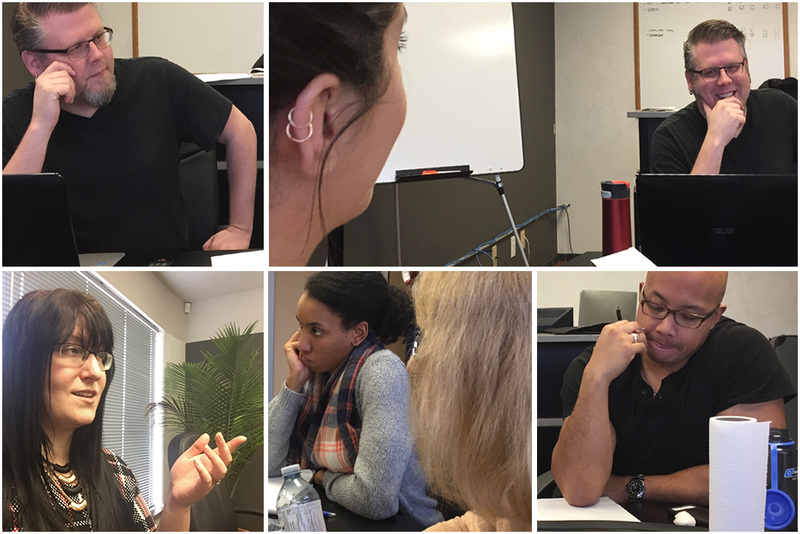 We met with Nina and Nadia of TLC to better understand their mission, goals, and brand. 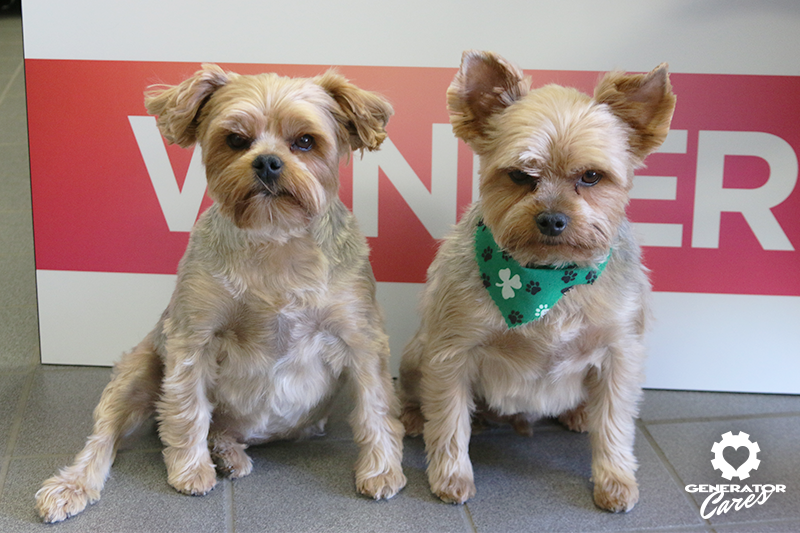 Joining them were two charming dogs named Zoey and Jackson, a brother and sister looking for their forever home. 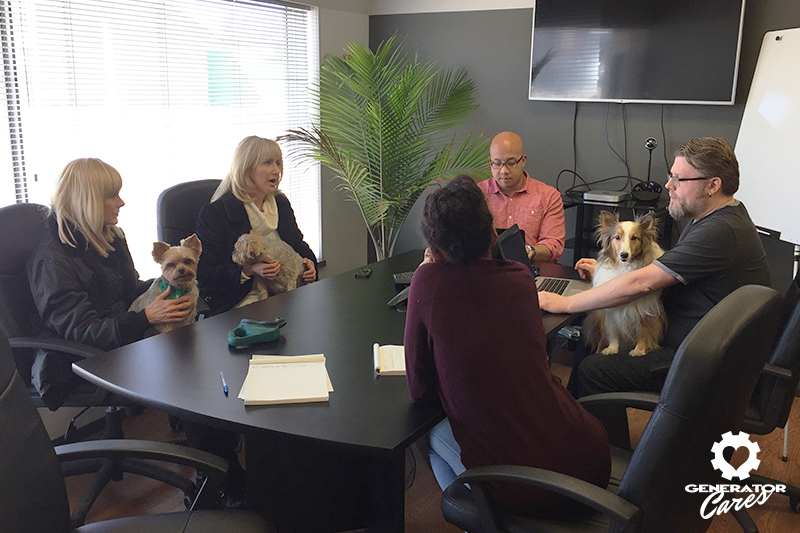 They sat in on the meeting, and of course so did Leia the Sheltie, who wasn’t about to be left out of the action. As our Goodwill Ambassador, Leia is especially looking forward to working with TLC (and of course, so do we!) whose mission is to inspire, educate, and empower our community to understand, love and protect our amazing animals. Nina & Nadia pose with Zoey & Jackson. Zoey & Jackson seem right at home. Leia giving creative consultation with Alan. 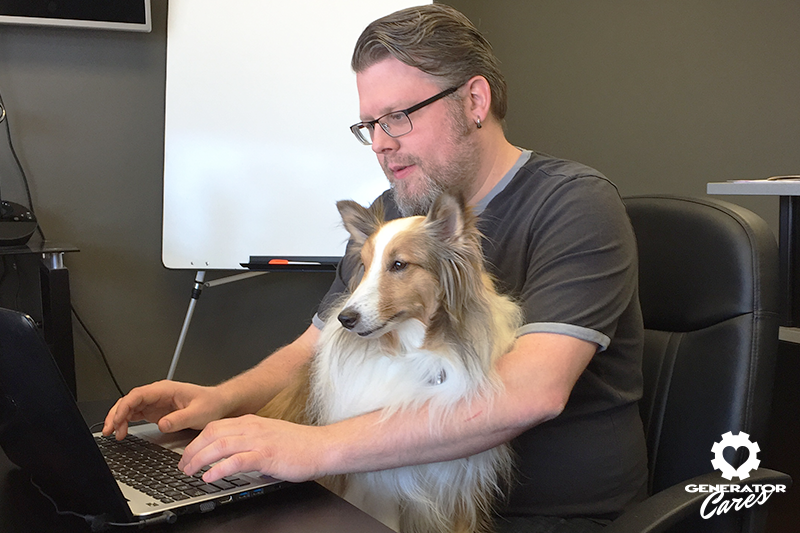 All hands and paws on deck. 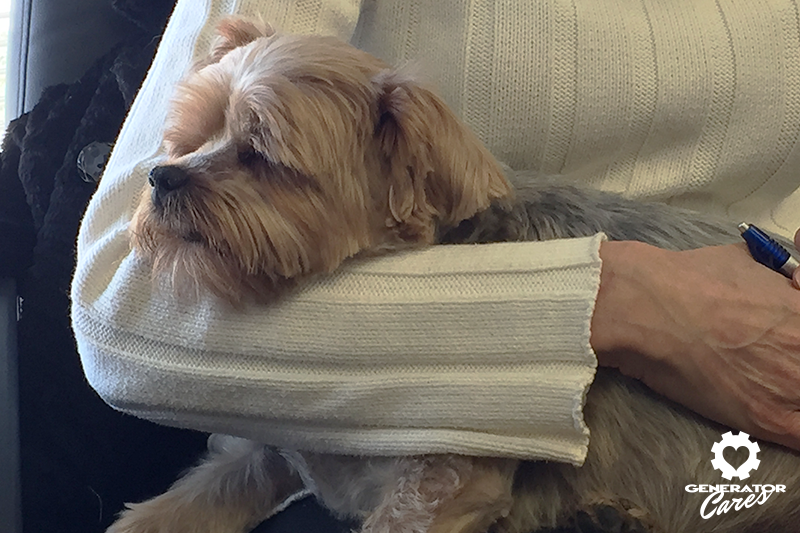 Some of us couldn't stay awake through the meeting. To learn more about this amazing animal welfare group, visit www.tlcanimalaid.org. 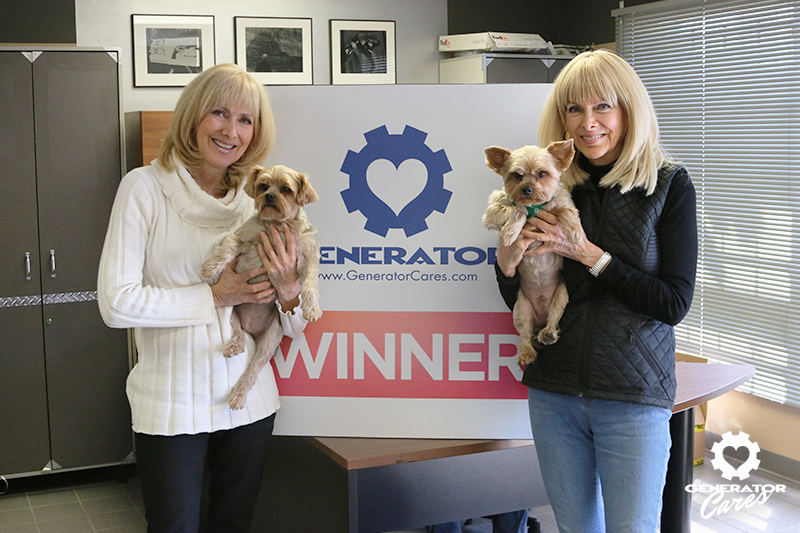 Generator has recognized the Love, Betty Cancer Foundation as a dedicated contributor to the local community. That’s why they were chosen to be the Generator Cares winner. We are proud to be working with them moving forward and eager to share a bit about their mission. Betty believed in making the best out of an impossible situation. Her motivation and will to battle cancer is legendary, and her strength inspired this foundation in her memory. The physical, mental and emotional stress cancer can bring is unfathomable. In addition, financial difficulties imparted by the illness and treatment schedules are often troubling. The Love, Betty Cancer Foundation offers community support through fundraising in order to support local patients battling cancer. Betty’s dream was to offer financial support to patients, home assistance where possible, and improvements to treatment facilities. Her passion was to create a haven for patients to build the strength to face their fears and ease uncertainty. It is with these goals in mind that the Love, Betty Cancer Foundation endeavours to raise the funds to see her vision through. They give 100% of their raised funds back to the local community and are committed to assisting cancer patients who are receiving active treatment locally and those who need to travel out of the region. The Love, Betty Cancer Foundation understands how cancer can affect the lives of both patients and families. No one plans to get sick and the resulting financial burden can make coping with the illness that much more difficult. They are here to help. For more information, please visit www.lovebetty.ca. We checked in with our ‪#‎GeneratorCares‬ winner, The House! It is a non-denominational youth centre that has operated in the heart of Amherstburg for over 40 years. 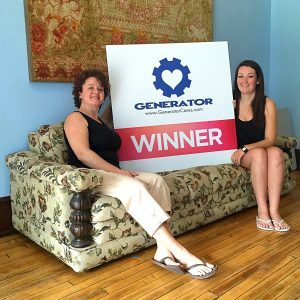 We’re so incredibly grateful to Generator Design for running the Generator Cares Giveaway, and so humbled by the amount of people who nominated our program. We’re excited to get to work with the Generator team during the next few months, to help spread the word about The House, our youth, and get more people involved! Together, we’re helping today’s youth become tomorrow’s leaders.